Hey y'all! It's Michelle Hudgeons from Smitten With First. I wanted to share a few compound word resources with you all that I have been using this week...and the best part is... they are FREE! I recently came across the book Once There Was a Bullfrog and wish I would have found it sooner when teaching compound words. If you haven't read it, you can listen to the read aloud here. I like to pause the story at the end of each page for the students to guess the second part of the compound word. They think it is hilarious. 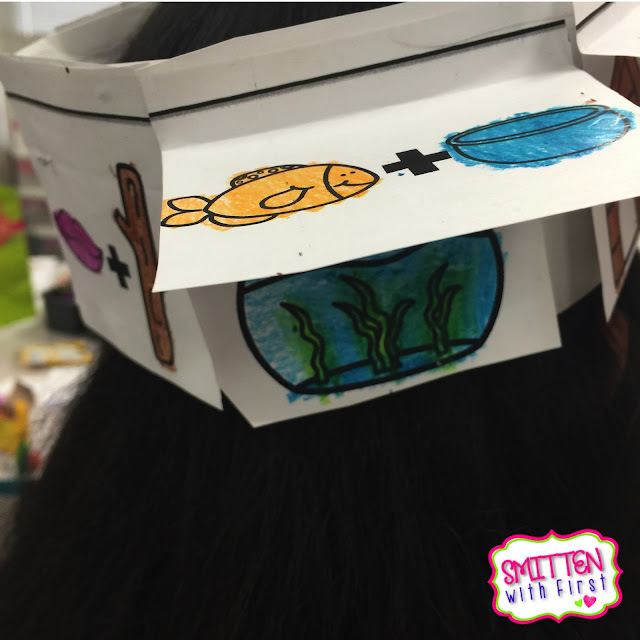 Hativities are quite the big deal in our room so we used these Flip It hats to identify compound words. The students have to find the matching compound word for each set of words and glue underneath the correct flip. 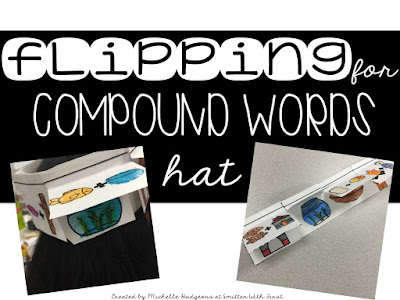 You could also have your students write the compound words at the top of each flip. You can download these hats here. 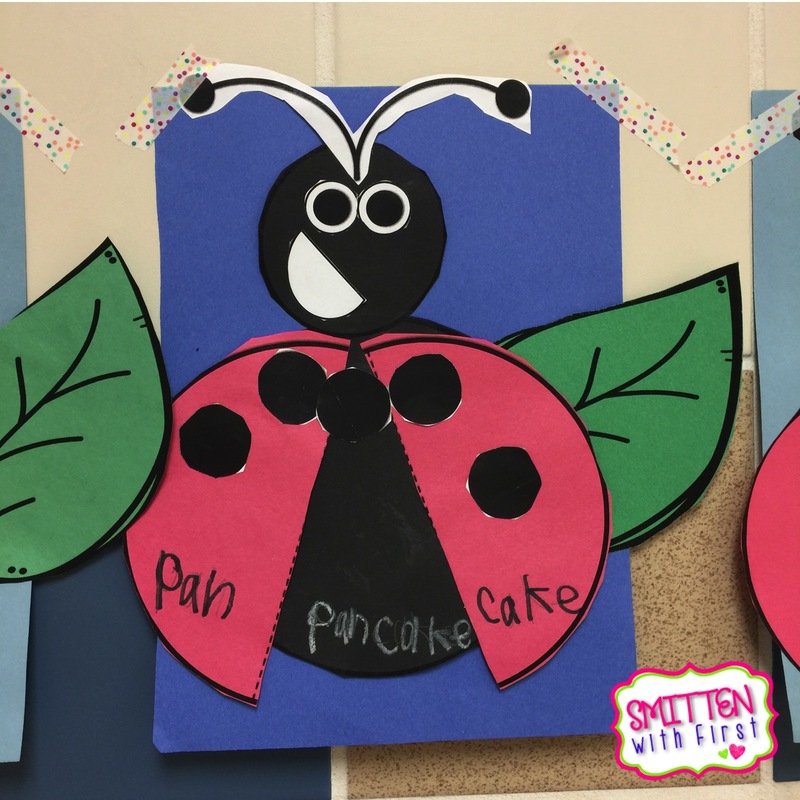 We made these fun little ladybugs to spruce up our hallway. My students had to write the words on the wings and the compound word in the middle. 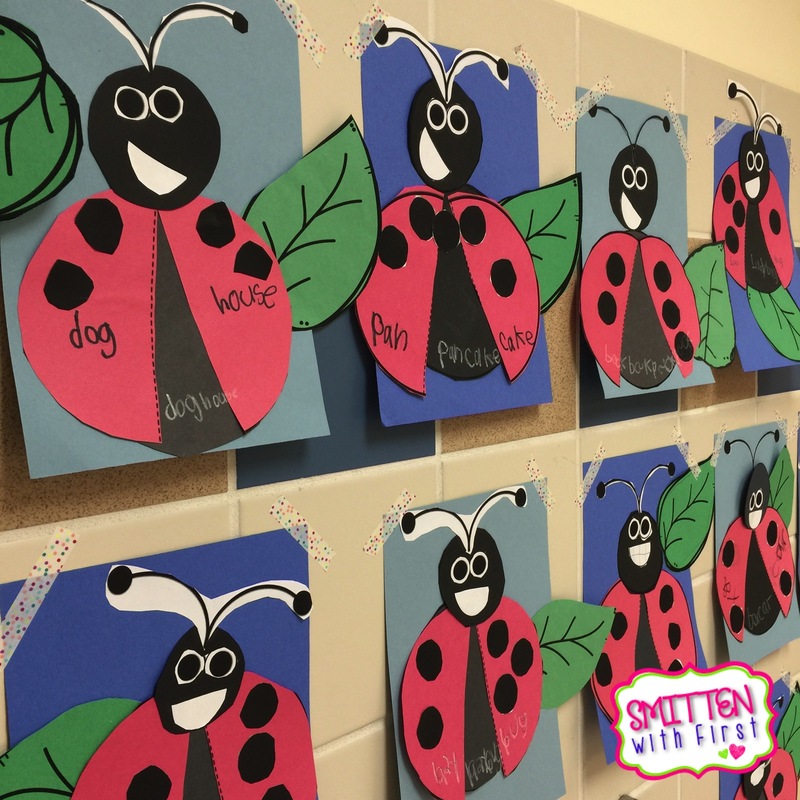 You can download the ladybugs here. 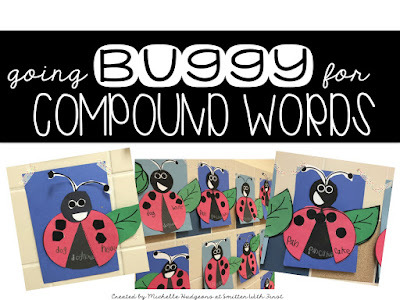 One of my all time favorite compound word activities is something I came across several years ago in a workbook, Big Book of Everything for First Grade. 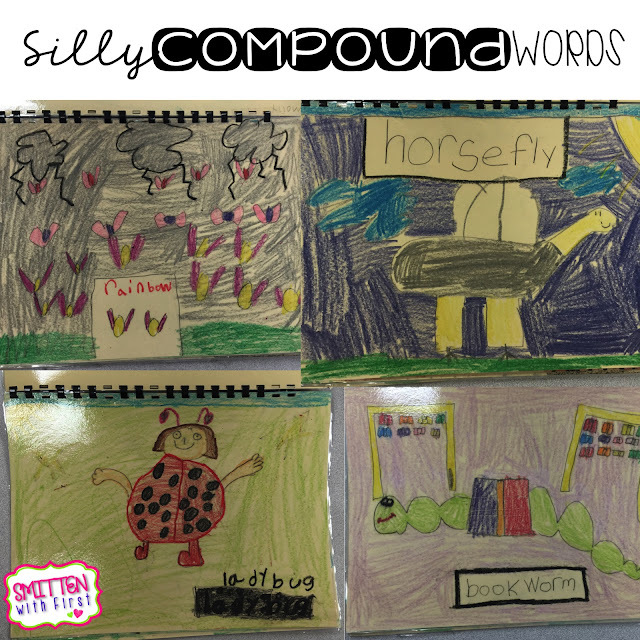 Each student picks a compound word and illustrates each part of the word. Afterwards, you combine all the pictures into a class book. 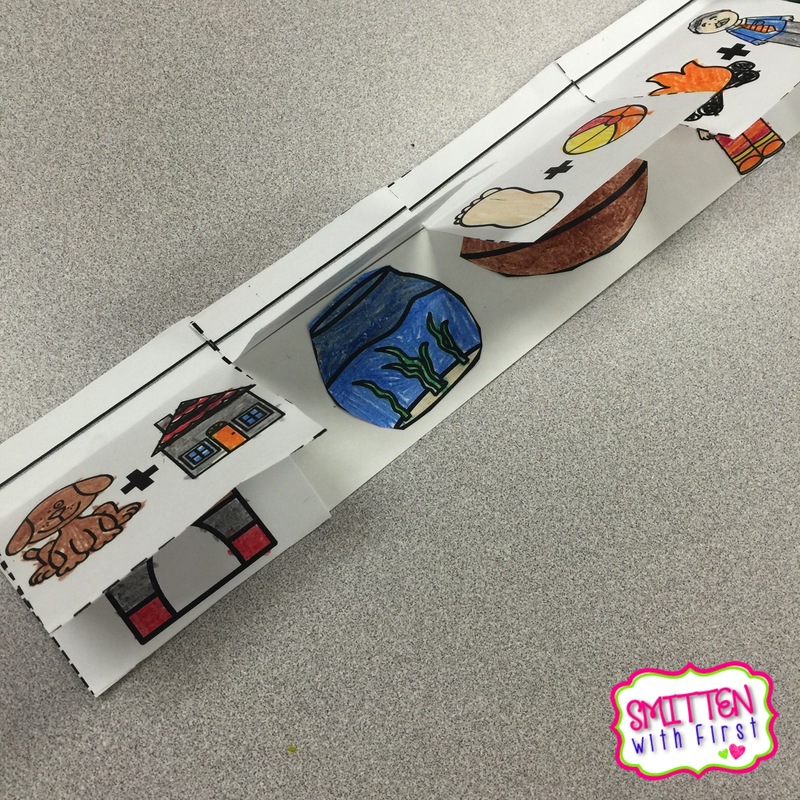 These always turn out so creative and fun! Hope you found something to add to your filing cabinet today!